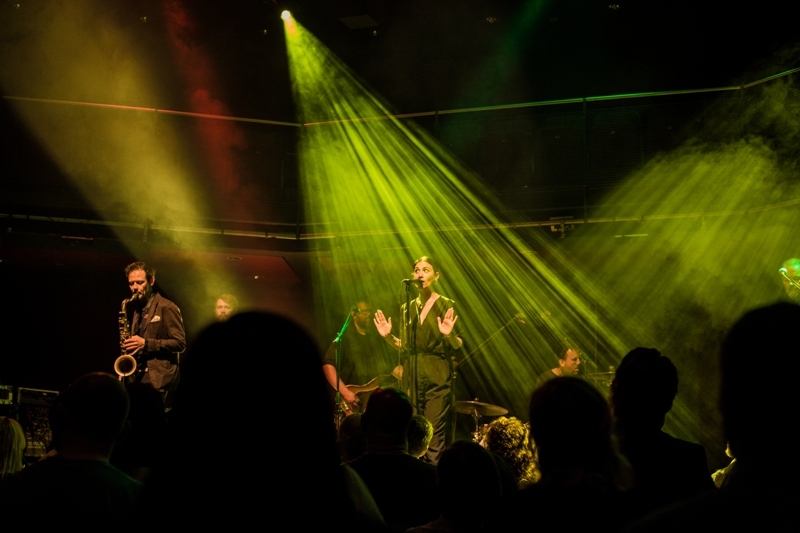 The resplendently named Rafiki Jazz opened up the 3rd instalment of Lauren Laverne’s Great Northern Soundtrack series at Sage Gateshead. The world music collective; made up of a core of refugee artists and hailing from four continents are a fitting opener for Nadine Shah whose 2017 album Holiday Destination will surely go down as one of the essential artistic chronicles of the ongoing refugee crisis. It’s a theme which is addressed immediately through the albums title track and Shah’s opening address. This show bookends Refugee Week and recurrent speeches to the crowd before songs like Mother/Fighter form as much a part of the performance as the songs they are interspersed between. The messages carry so far because the bottom line is always incredibly powerful music. Shah has built an exceptional band giving songs like Fool and Yes Men absolutely gargantuan quality beyond their message alone. If the brief for the Great Exhibition was to celebrate the pioneering spirit of the North then you could not find a more fitting subject than Shah. She is an artist of incredible importance; typifying all that is great about northernness. Shah is humble, righteously angry, defiant, sincere and above all else incredibly talented.